I’m so excited… for the first time since we moved back 2 years ago, I’m headed back to France in a few weeks! I’ll be spending some time in Dijon, Reims & Poitiers and then ending the trip in Paris (with a quick sidetrip to Morocco!) I can’t wait to visit all my favorite places and go say hi to our old apartment. If you have any recommendations of new places that have popped up since we lived there, I’d love to hear them! I love Reims; I got to live there for awhile. The cathedral is really incredible. Have fun! Jaime is right – Holybelly is a must, Coutume for coffee as well. I know nothing but pastry so L’Eclair de Genie in the Marais is new and necessary. Choux D’Enfer (close to Eiffel Tower/Bir Hakeim metro) is like a permanent food truck with filled-to-order choux and don’t miss Camion Qui Fume! Paris is VERY high on our family’s list of places to visit, so all these ideas are great! Hollybelly is a must for sure! Foundation coffee in the Marais. Verjus for lunch in Palais Royal. What area will you be staying in? I have spent the last 6 months in Paris back and forth. You will have an amazing trip! Paris has my heart. I’m so jealous! In Paris, in the Marais area, we love the good fast food L’as du fallafel (Rue des Rosiers), Vanessa Paradis and Lenny Kravitz used to have lunch there often! We also love The Smiths Bakery at Rue de Buci. First, I went to visit this place because I love The Smiths songs, and then, I went back because the place has excellent ice creams and the staff were really friendly. Depending on how much time you have in Poitiers – I would recommend trying to see a theatre show or concert in their lovely new arts center. I am living in Reims and I suggest you the place du forum instead of place d erlon. I spent some time in Paris a few months back and the places I kept going back to were Verjus, for lunch, Cafe Pinson for breakfast and lunch, and Candelaria for tacos (and late night cocktails in the back room). I’m a vegetarian so all these places were super veggie friendly. I also realized in Paris that I am obsessed with taxidermy so if you’re into that Musee de la Chasse et de la Nature and Deryolle are a must! We are going to Paris for the first time at the end of June! I can’t wait and am looking forward to reading all the recommendations!!! Le Bistrot du Peintre, 116 avenue Ledru Rollin 75011 Paris +33 (0)1 47 00 34 39, Metro stop Bastille or Ledru Rollin. It’s a lovely artnouveau bistrot, with great traditional French cuisine. In Poitiers, you should definitely have lunch at Bistrot Notre Dame, near the Cathedral, I love their duck confit parmentier!! I’m so excited for, and jealous of you! Have so much fun! Don’t forget about Bethillon. I’ve never had a better ice cream cone. which more than great food has obtained the award for best international sustainable restaurant in London. I heard that Septime restaurant is amazing. I’ll try to have a reservation when I’ll be in paris too. And you should go to & other stories (http://www.stories.com/fr/), love their shoes and accessories. As it has been said, Holy Belly is a new place you have to try in the République/Canal Saint Martin area… But you will have to plan to eat there, the cook is very nice and make good food ! It’s really one of my favorite place to go. Try not to go there during the week-end, it’s crowded ! They have great pizzas, to eat there or to take away ! The one at Popincourt (near Parmentier) is near my place so i often head there when i’m lazy about cooking, and, it’s quite cheap for Paris ! Have a very nice time in Paris ! I have also heard about Café Pinson, Septime. Have a good one!! !Paris in Spring is the best!
. Also one you would looove “la chambre aux oiseaux” they have a fb page, 48 rue bichat, 10eme, near Canal St Martin. And please give us some feedback and Enjoy !! Hi! I love your blog! I’m going to Paris in a few months and would love to know from which street you took the above photo. It’s a fantastic view. Hi Jordan, I just heard about your trip, I’ll be in the South group, so sad to miss you! Have fun! I look forward to seeing what you experience! I love Paris. I love your blog!! Go for brunch at Comptoir General (http://www.lecomptoirgeneral.com/) it’s beautiful space (think vintage store, guerilla gardening, second hand books and a witch-doctor’s corner) and they have fun workshops for children on Sundays. Really rad for Paris and the food is good too ! It’s on the canal behind a big metal door, and it’s super magical. Hi Jordan. I’m from the Bay Area and am currently living in Southwest France near Poitiers. If you are traveling with your kids, I highly recommend Futuroscope and Les Vallée des Singes near Poitiers. Have a great trip! In those past years, the south banks of the Seine have become the place to be: full of food trucks, bars on boats and floating gardens. I highly recommend the “Vagueàlame” in the 13th, the food is really good as in a french village party, it’s very welcoming and the vintage decoration sets up a really cool atmosphere. If you’re in for eating inside, the “Fils à Maman” in the 9e next to Grands Boulevards is great. It’s the french mamas’ cooking with a modern twist. Nothing fancy, everything excellent. And it’s a really fun place to go with kids! Enjoy Paris, summer is the best. We just got back from Paris! I really loved Petit Pan, which was just a couple blocks from the fromagerie Pascal Beillevaire (also found at La Grande Epicerie) which has the best butter I’ve ever tasted – seriously, get the beurre demi-sel croquant. Dijon is pretty cool, but it’s always better to met someone who lives in the city I’m visiting ! here. Also, check out my crafty tour of Paris here. So excited for your upcoming trip! Jordan! Let’s do breakfast at HolyBelly !! Let me know what dates you’ll be in Paris! 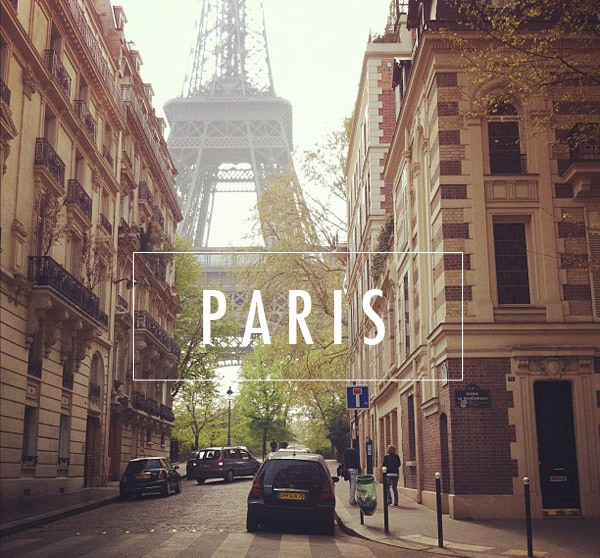 My name is Salomé and I’d like to meet you while you’re in Paris. I work with blogger Garance Doré and represent a few other blogs. Let’s have coffee?